While visiting Texas recently I observed two rather different approaches to accommodating Latino migrants released from federal detention into the United States—and learned a lesson applicable to the pro-life movement. At one non-denominational church, Christians received a Latino family into their care. The pastor promptly scheduled a press conference, at which he denounced the government’s inhumane treatment of migrants. He cited his church’s guests as evidence of his intention to oppose enforcement of unjust laws. Anti-immigrant protesters gathered. Federal authorities, embarrassed and/or annoyed, avoided further cooperation with that church. At the same time, a nearby religious institution was receiving a dozen—sometimes two dozen—such families daily. After personally inspecting the process, the bishop responsible for the program had retained a security service to keep the press away, “lest they exploit the vulnerable for the sake of a hot story.” His officers screened volunteers for those seeking to aid migrants, avoiding those seeking publicity. Federal authorities made it work: They called in advance to coordinate transfers and delivered former detainees to the right doorsteps and into welcoming arms. Businesses contributed food, supplies, phones, and transportation for migrants en route to family elsewhere in North America. The nondenominational church and its pastor did good, but their good-doing was sharply limited by the pastor’s eagerness to contrast it with others’ wrongdoing. The bishop and his institution, meanwhile, did good and helped others participate in the good-doing, even to the point where otherwise much-maligned federal authorities were actively contributing to the care of the former detainees. My takeaway is that we prolifers ought to work harder at winning and not so hard at being seen as winners. Many rightly call attention to the parallels between welcoming refugees and welcoming the unborn: No matter the difficulties both will face in a sometimes-hostile world, they have a right to humane treatment and the protection of the law. But here I intend a narrower point: Our goal as prolifers is to protect the unborn in fact and particularly in law; we don’t, however, need to be seen to achieve that goal. Let’s not imagine ourselves a victimized minority. Many prolifers have experienced mockery and other negative social consequences because of our commitment to the unborn. But if we nurse our grievances, we begin to prioritize our own vindication. 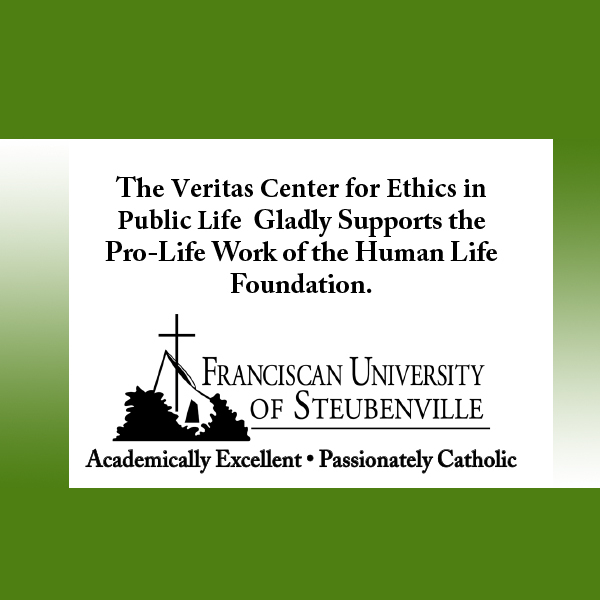 We too eagerly denounce “weaselly whole-lifers,” or “knee-jerk apologists for fraudulent pro-life politicians,” rather than striving to foster a pro-life culture. Never exaggerate the offenses of political enemies. When people vote for pro-choice politicians, it’s not always because they hate human life or support death for disfavored populations. When we overstate our case against pro-choicers, we harden their resolve against our cause and render ourselves untrustworthy to those on the sidelines. Let’s share broadly the peace and merit of being pro-life. The culture of liberty from which the cancerous “right” to abortion emerges also facilitates the March for Life, curbside demonstrations, and pro-life care centers for mothers. The culture of responsibility that heightens risk to mothers is also the moral framework by which we hold fathers, physicians, politicians, and judges to account for the common good. If we acknowledge the good contributed by others more than we denounce their inadequacies, we’ve begun to build a broader consensus and a pro-life culture. Because prolifers insist on legal protection for the unborn, we cannot escape the duty of making public arguments. But for the very same reason, we must strive not only to be correct but to be persuasive. Especially as the population grows more sympathetic to our cause, we ought to be prepared to forego presenting ourselves as having an exclusive claim to virtue, and instead allow everyone to take credit for building a more just and loving culture. Prolifers ought to prefer winning to being seen to be winners. 838 people have visited this page. 1 have visited this page today. Fr. David Poecking is administrator of Catholic parishes in Kennedy, McKees Rocks, and Robinson, Pennsylvania. Thank you Father David Poecking for this very balanced and practical article. Your perspective can help to soften hearts and I have always believed that is how the pro-life movement will move forward.